Penguins are fascinating creatures and there a many videos on the internet of them which make us howl with laughter, but we guarantee none are as funny as this. 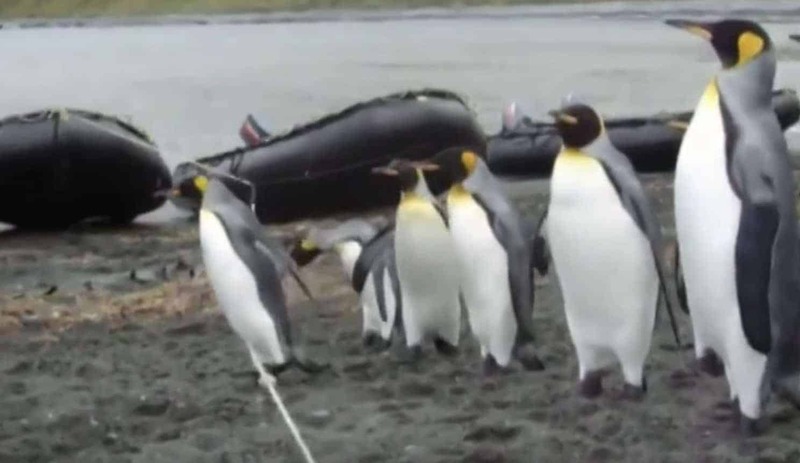 In the hilarious video, a group of emperor penguins are completely baffled by some rope on the floor, and just can’t seem to figure out how to overcome such a tough obstacle. One by one they take it in turns to tackle the rope before falling graciously to the floor. However, one penguin makes a run for it and gets past the rope, before looking back in disbelief, wondering how he managed the near impossible feat. Although the penguins look on at their friends trying and failing, but still make a brave effort, but sadly, you guessed it, end up crashing to the sand.